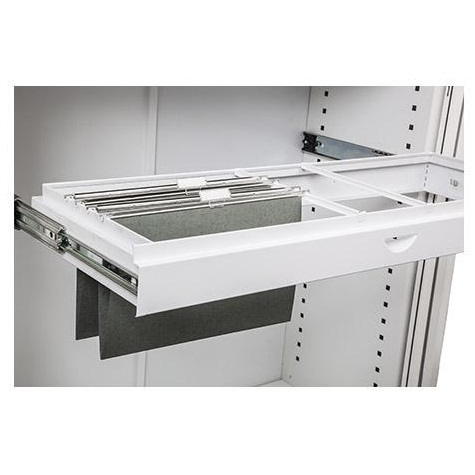 Roll out filing frames to fit 900 wide tambour cupboards. 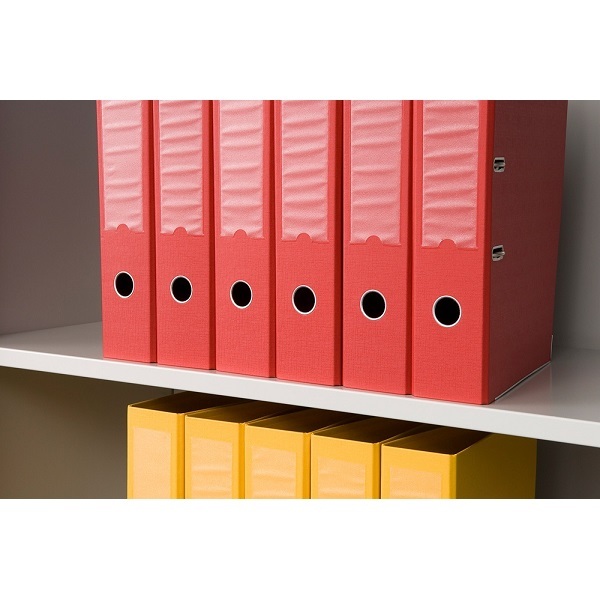 Will take foolscap or A4 suspension filing products. Note: Roll out fitments should always be fitted in the bottom half of tambour units. Standard plain shelf for 900 wide tambour cupboards. Load capacity - 45 kg per shelf. Standard plain shelf for 1200 wide tambour cupboards. Roll out filing frames to fit 1200 wide tambour cupboards. Slotted shelf for 900 wide tambour cupboards. Slotted shelf for 1200 wide tambour cupboards. 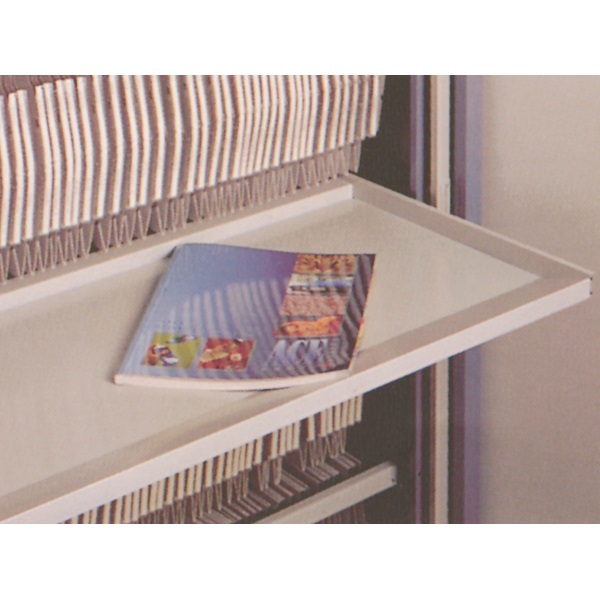 Divider for slotted shelves for tambour cupboards. Suitable for both 900 and 1200 wide tambour units. Each divider is 178 mm high. 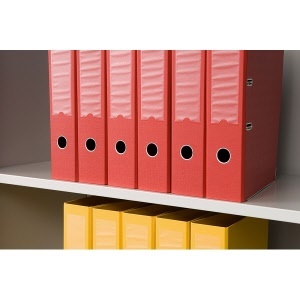 Pack of 5 dividers supplied. 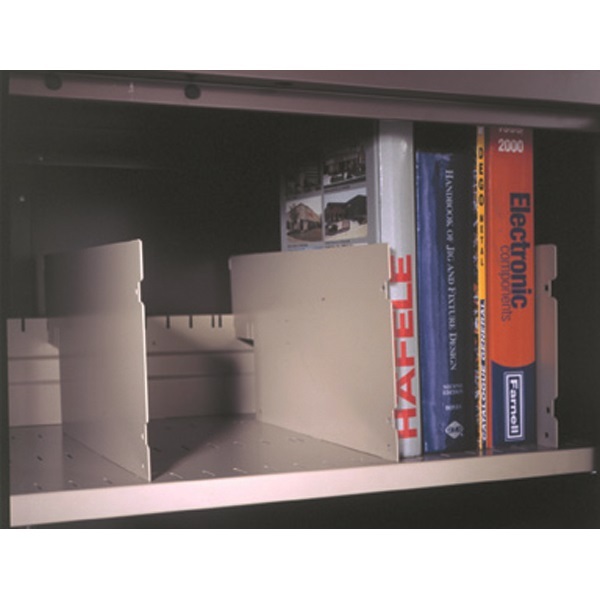 Pull out filing shelf to fit 900 wide tambour cupboards. Ideal as a reference shelf to view files while standing in front of the tambour unit. 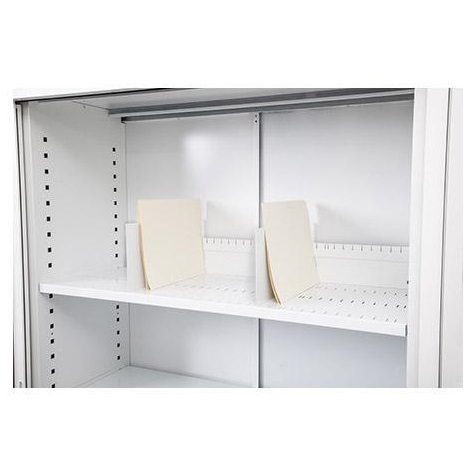 Pull out filing shelf to fit 1200 wide tambour cupboards.